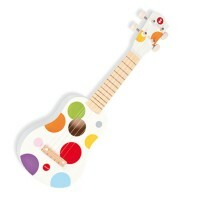 Play melodies with this beautifully crafted by Hape wooden Happy Harp musical instrument for children. 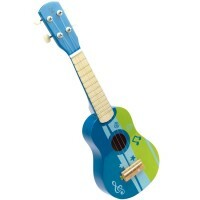 Play one of the most beautifully sounding musical instruments, Harp! 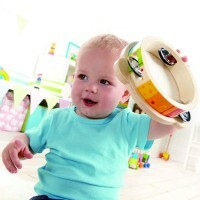 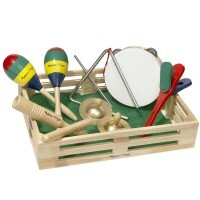 Made with Hape's famous toy quality, Kids Harp Musical Instrument is a hand-crafted wooden musical instruments designed for small hands and big performing ideas. Strum the 15 strings of this sturdy toy harp and sing along. 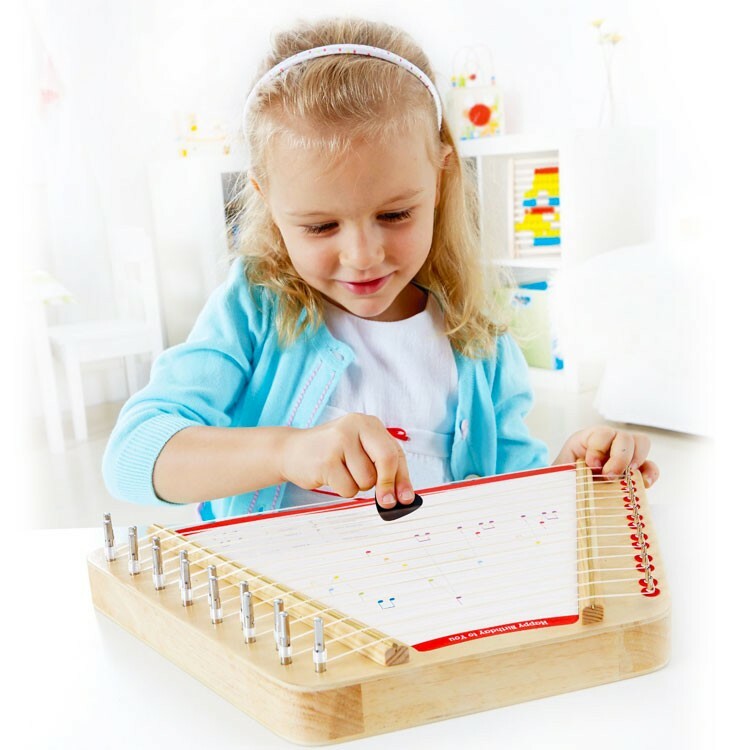 Kids Harp Musical Instrument comes with a tool and instructions to tune the instrument, 5 well-known songs sheets that kids place under the harp strings for visual playing instructions, and a blank page to compose your own musical masterpiece. 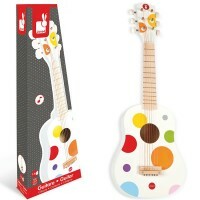 Kids can play harp with their fingers as professional harpist do, or to use the enclosed 2 durable plastic strummers to ease fingers' work. 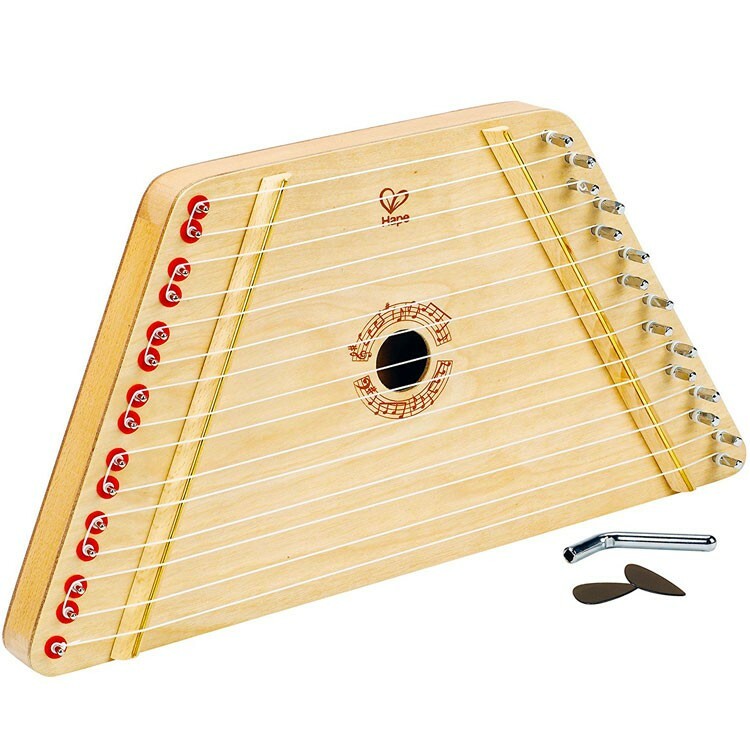 This children play harp promotes musical awareness, sound perception, creative performance and brings music making fun for kids of all ages. 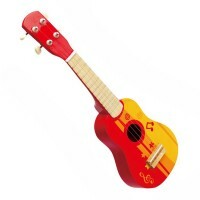 The toy wooden harp from Educational Toys Planet measures 15.75 x 7.91 x 1.34 inches. 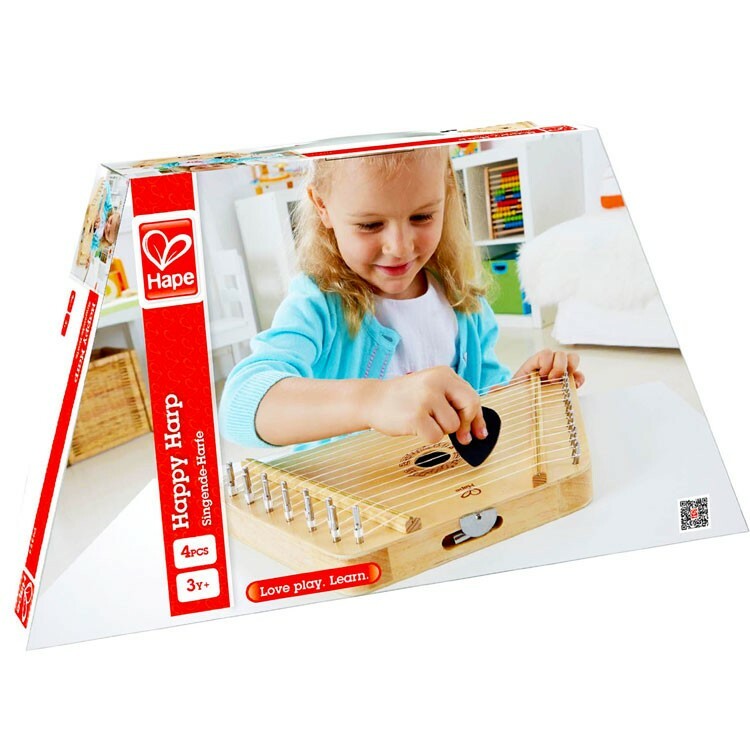 The Happy Harp will make kids happy as they sing and play this amazing string musical instrument. 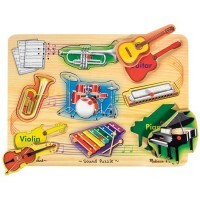 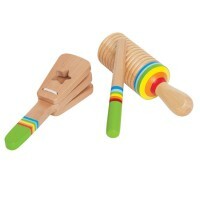 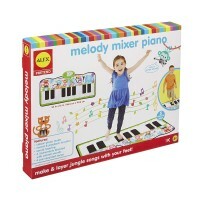 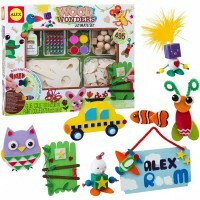 Dimensions of package 7.92" x 15.76" x 1.34"
Write your own review of Kids Harp Musical Instrument.